Prosthetic rehabilitation of teeth implies crowns on teeth. There are several types of crowns but the most commonly used are metal-ceramic crowns and full ceramic crowns. Metal ceramic crowns represent a standard in dental care for many years now. The base material is metal which is covered with a layer of ceramic. They represent a long-term solution, are resistant and have a great aesthetic effect. Full ceramic crowns have as a base zirconium and ceramic layer over it. It’s a known fact that these crowns produce a remarkable aesthetic effect and therefore are recommended as the material of choice when it comes to aesthetic restorations in the anterior region. 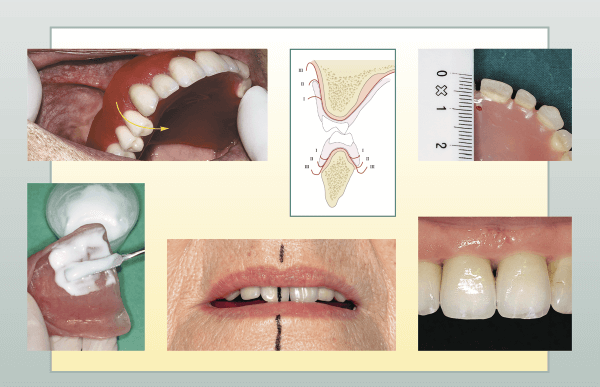 The complete prosthetic rehabilitation of the mouth may present at times the simultaneous presence of an arch completely restored on natural dentition opposed to the rehabilitated arch using a completely implant support. Our Patients Speak, Read what they are saying. The doctor was very friendly and polite and explained my problem regarding wisdom tooth in detail and done extraction in a very gentle manner. The instruction was very accurate and treatment was very good. Treatment is nice. Affordable and good in the market. I will refer my family and friends. Any teeth problems consult Sowmya Multi Speciality Dental Clinic. First of all, I would say thank to this doctor. I had the problem with my teeth then I met this doctor. He explained very well about my tooth condition, and I was very much impressed by his way of explanation, which was far better than my previous dentist and more of all his treatment is very good. Happy with doctor friendliness, Explanation of the health issue, Treatment satisfaction, Value for money, Wait time Mr. Naveen chirumamilla is an excellent dentist whose main priority is making sure his patients are comfortable. He is very professional and gentle. His staff is very accommodating. I would recommend him to anyone who needs a dentist! A right hospital which has a good ambiance and helpful staff and mainly a very good doctor who examines me carefully and solve my dental problem. His interaction is good. He will comfort you before the procedure, overall dealing with a case is very good. A very good experience with Sowmya doctor and treatment done by satisfying and I suggest do visit the Sowmya dental clinic in Guntur for your dental issues. Our team of Dentists at Sowmya Multispeciality Dental Clinic, Guntur are specialized in Prosthetic rehabilitation. At Sowmya Multi Speciality Dental Clinic, our primary aim is to help the patients with the best treatment and make them smile with confidence. From the day we started dental practice, our goal is to make sure that patients are happy with the treatment and services provided. We will continue to provide the same professional services and care for you. We welcome you to our clinic in Guntur, visit once and we are sure we will make you smile. Made with ♥ by Zocis Technologies Pvt. Ltd.